We haven’t covered much on Virgin Australia recently. Our bad. However, we couldn’t help but fall in love with their new Melbourne Lounge that has been open a little over a week. Taking 6 months to renovate the previous lounge space, they have managed to double the size and give the whole venue a slick, well designed and well appointed lounge. Well appointed? Yes. Check out their stunning new wine bar or espresso bar, perfect for anyone wanting to relax and get in the mood for their flight. More interestingly the lounge, which is beautiful, is more about the passenger experience than design itself and that’s hard to fault. The airline has launched its first Premium Valet service at Melbourne domestic airport, allowing guests to drop off their car seamlessly before their flight. 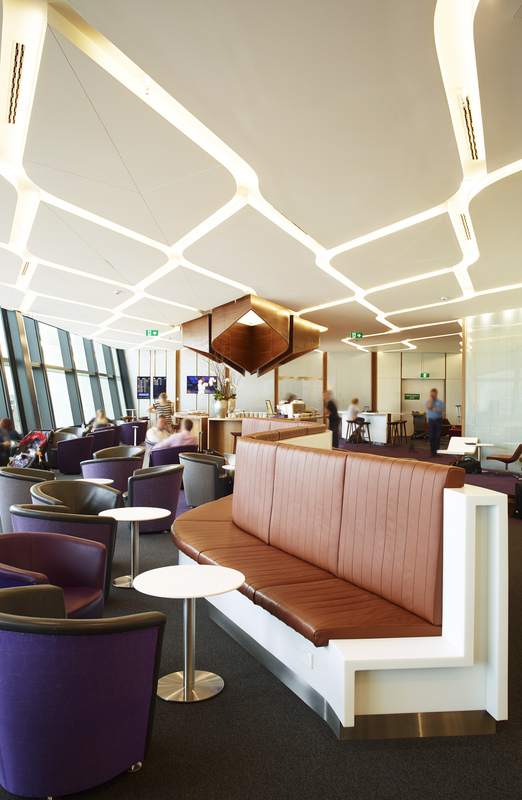 Once checked in and in the lounge, the passengers (from June onwards) will be able to experience Virgin Australia’s ‘Premium Exit’ in July this year. Located within the lounge, the dedicated security screening point will allow guests to move seamlessly to their departure gate. As for the design, we love what the airline has done, mixing the ‘Virgin spirit’ with the leaf motif that runs through Virgin Australia’s branding. The large wooden leaf ceiling is beautiful and light, the motif forming shapes to create the stunning wooden Wine bar and shapes the long lounge benches in the seating areas. 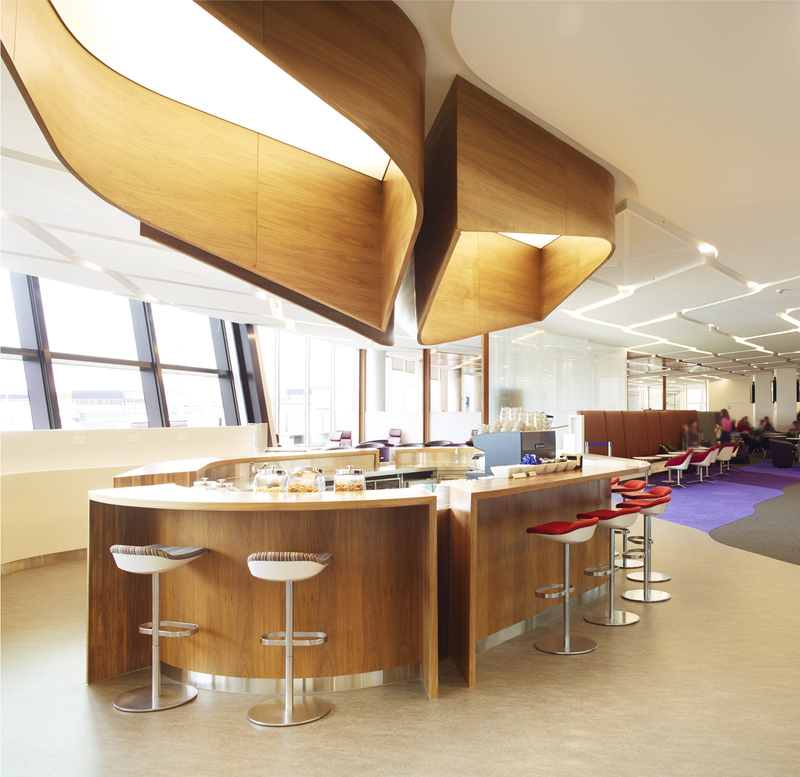 The natural wooden finishes match that of Qantas’ First Class Lounge in Sydney, designed by Marc Newson, but the rival’s design here in Melbourne has managed to give the lounge a feeling of fun and retro-chic, something that is familiar to those who know the Virgin brand. Entertainment options including newspapers, premium magazine titles; and 10 high-definition TVs featuring FOXTEL and free-to-air programming.